Looking for a fun challenge that the whole family can enjoy this fall? Try a corn maze! Many local farms offer them, and some even have different mazes for different ages. Choose a pumpkin and enjoy other family-friendly fall fun at Pumpkin Pete's in Schoharie! 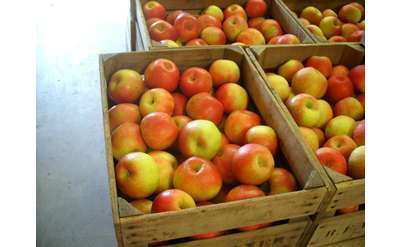 Hicks Orchard is the oldest U-pick orchard in New York State, having been established in 1905. In addition to apples and pumpkins, Hicks also offers cherries and blueberries. 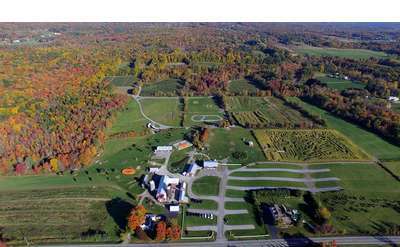 The property features an apple barn, a farm winery, corn maze, and more. Engelke Farm is a family owned and operated vegetable and fruit farm featuring a nursery, pumpkin patch, haunted hayrides, zip lines, pick your own produce, corn maze, petting zoo, and more!